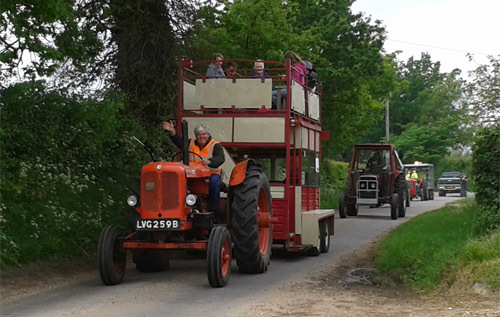 The Elsing Heritage Society is holding the annual tractor run from and to Elsing on Sunday 28 April. 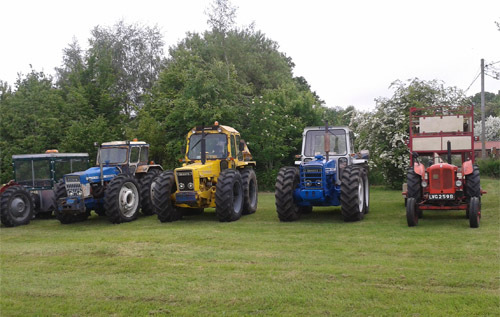 The tractors will assemble on the church car park in Elsing at 10 am (trailers to the field by the village orchard/allotments), leaving around 30 minutes later, bound for the Ringland Swan by way of Peaseland Green and Collens Green. The vehicles will be returning via Lyng Easthaugh, Lyng, Fustyweed, Mill Street, Bylaugh and Swanton Morley, arriving back in Elsing by 2–2.30 pm. Refreshments will be served throughout the day and there will be a fundraising raffle. To enter a tractor, please call Philip Butler 01362 638507; all other enquiries to Sally Hautot 01362 637660.